Biking and hiking around Sointula was great, unfortunately, yesterday it started raining again. I spent the night in the Pearse Islands, watching the tide rushing by me and the bald eagles fishing. 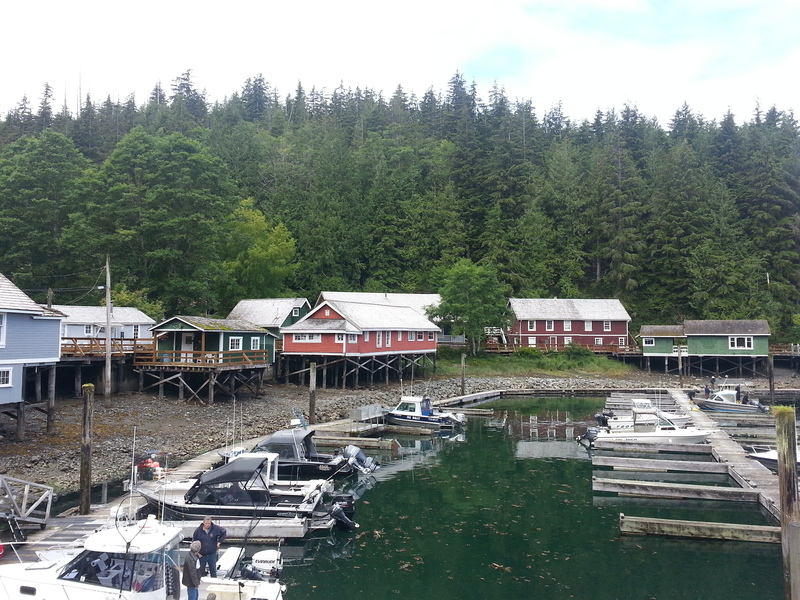 Today I came into Telegraph Cove, a small village from the 1920s that serves mostly tourists today.